FOR SALE: 19820 Graystone Ln in San Jose $1,195,000 – Build your own custom dream home at the top of Graystone Ln with spectacular views of Almaden Valley. A serene and private 1+ acres lot nestled on top of the hill awaits your design. Top rated/Blue ribbon Almaden Schools, Graystone, Bret Harte and Leland. Recent conceptual plans for development are available. Ample room for a pool and all other fun backyard amenities. CALL ME to arrange a private viewing. FOR SALE: 1529 Ashcroft Way in Sunnyvale $1,789,000 – Welcome to this fabulous home designed with entertaining in mind. The open and airy floorplan features 4 bedrooms, 2.5 bathrooms, 2 car garage, approx. 2,300 square feet of living space and an amazing backyard with endless amenities. Convenient to shopping, parks and Highways 85/82/280. Just steps away from West Valley Elementary. Don't miss out, this home has it all! CALL ME to arrange a private viewing. TWO PRE-MLS PROPERTIES: Single Family home, walking distance to downtown Willow Glen, 3 bed 1 bath in the low $800Ks. Large townhouse, 3 bed 3 bath, attached two car garage in the heart of Santa Clara also in the low $800Ks. CALL ME to arrange a sneak peek to either of them. Consulted a seller on some specific marketing strategies to find the best buyer for a property. Helped a buyer understand what price would be enough to make a strong offer. More inventory came to the market than was sold. Most likely it is seasonal, but we will know more in the next couple of months. 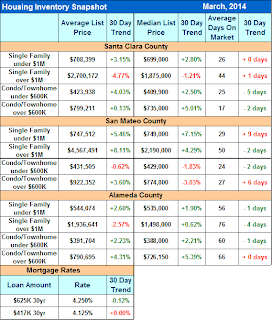 Santa Clara County sellers still have an upper hand in this market. 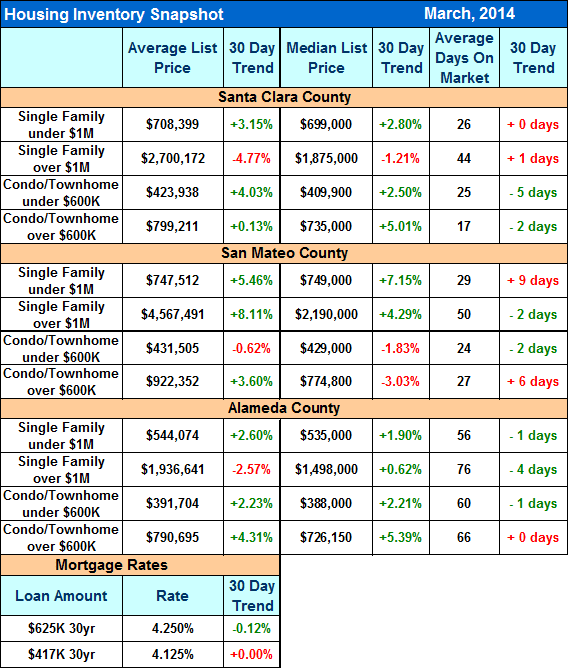 THIRD month in a row where more listings came on than sold in San Mateo County. This could very well be the beginning of a trend. The next couple of months will be important months to follow. CALL ME IF YOU NEED ANY SPECIFIC INFORMATION.